The roots and pride of the citizens of Gautier are as deep as the stately live oaks that line more than 70 miles of waterfront in this unique city on the Mississippi Gulf Coast. 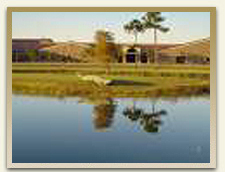 From Gulf of Mexico breezes to the twists and turns of the inland bayous, the natural beauty and quality of life in Gautier beckon modern day "settlers" to enjoy the serenity and amenities Gautier has to offer. Coxwell & Associates has a lot to offer its clients, including treating your case as if it was our own. At Coxwell & Associates, we know that each case we have is the most important thing in the world to our clients. Even though we have hundreds of clients, we treat each client as if their case was our only case. With this attitude, we have been able to help thousands of clients over the past 30 years obtain justice in the form of money or their freedom. We represent Mississippians who have been injured in negligence cases such as car accidents or truck accidents but we also represent citizens who have been arrested for all kinds of crimes ranging from felonies to misdemeanors. We hope that you never need to call us but if you do please know that you will be treated as if your case is the only case we have.